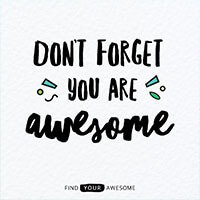 Open Colleges has declared 16 February 2017 National Tell Someone They’re Awesome Day! 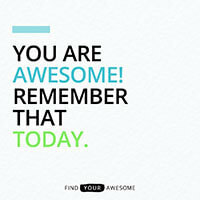 Is there someone in your life that is truly awesome? This is your chance to tell them! Are they a great friend? Do they help you out by picking your kids up from school? Are they the star of your local sports team? Do they inspire you with how they make time for everything and everyone around them? Head over to the Open Colleges Facebook page and share or tag them in one of our special National Tell Someone They’re Awesome Day images. The feeling of knowing we matter, and are an integral, valued part of someone else’s life is a special one. But unfortunately, lots of us don’t often show or share our appreciation for others. It can feel awkward and sometimes not appear genuine. However, “The deepest principle of human nature is a craving to be appreciated,” according to William James, psychologist and philosopher. So go ahead, spread the love! Expressing your appreciation for someone not only makes them feel good but has a positive effect on you too. You’ll feel more fulfilled from the knowledge you’ve made someone happy. And the best part? Appreciation is absolutely free. Join in with National Tell Someone They’re Awesome Day on the Open Colleges Facebook page! Open Colleges has over 100 courses that could help you develop a new skill, change careers or get a promotion. 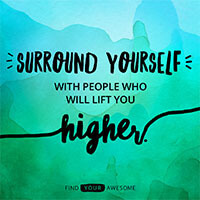 Browse our courses now and get on your way to finding your awesome.